Plans for the leisure and retail element of the £400m mixed-use extension to Thorpe Park in Leeds, have been recommended for conditional approval. Acting on behalf of Scarborough Group International and Legal and General, The Harris Partnership lodged a reserved matters application for the retail and leisure phase of the Thorpe Park development in May. 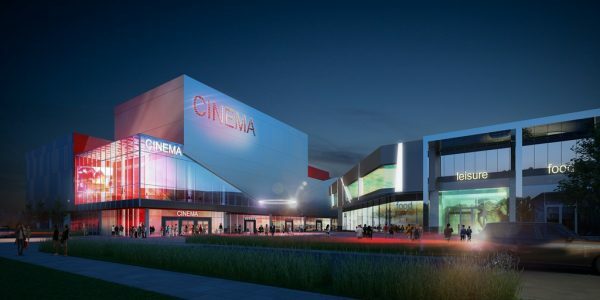 Plans covered the appearance, landscaping, layout and scale of the proposal which includes restaurants, gym and 60,000 sq ft cinema making up the leisure focused heart of the scheme. Approximately 25 shops of varying sizes are also envisaged with Next agreeing to occupy an 18,000 sq ft anchor store. Professionals working on the retail and leisure element include project architect The Harris Partnership; master plan architect CJCT; project manager Scarborough Group International; landscape architect ARES; highway design engineer Pell Frischman; structural and civil engineers Buro Happold; M&E engineers GMI Energy/Buro Happold; construction manager GMI; planning consultant Zerum Consult.